Wayne Grudem draws on forty years of teaching classes in ethics to write this wide-ranging introduction to biblical moral reasoning, organised according to the structure of the Ten Commandments. How should Christians live when the surrounding culture is increasingly hostile to Christian moral values? Granted, the Bible is our guide—but how can we know if we are interpreting it rightly with regard to ethical questions such as wealth and poverty, telling the truth, marriage and divorce, birth control, abortion, euthanasia, homosexuality, business practices, environmental stewardship, and dozens of other issues? And on a very practical level, how can we know God’s will in the ordinary decisions of life? 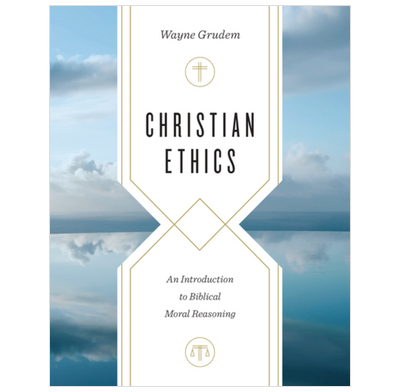 To address questions like these, Wayne Grudem, author of the best-selling Systematic Theology, draws on forty years of teaching classes in ethics to write this wide-ranging introduction to biblical moral reasoning, organized according to the structure of the Ten Commandments. He issues a challenging call for Christians to live lives of personal holiness, and offers a vision of the Christian life that is full of joy and blessing through living each day in a way that is pleasing to God.